Fake Message: WhatsApp to Start Charging Users From Today. 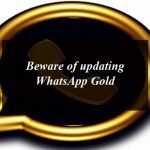 There are fake rumor circulating on social media and on the messaging app that the WhatsApp will be ending its free services from today on 17th October, 2018 at 6:Pm and the users will have to pay it to open it. As per the fake rumor the users will no more able to open the WhatsApp from today and they will have to pay it if they want to open it. In other words they have to pay it if they want to use the service of the messaging app WhatsApp. The fake message on WhatsApp from Jim Balsamic (CEO of Whatsapp), which is totally fake because the name mentioned in the fake message Jim Balsamic is not the CEO of WhatsApp. So you can yourself have the idea that it’s totally a fake rumor. According to fake message the fake CEO of whatsApp are asking the users to register themselves by sending this fake messaging to entire users list in their messaging app contacts and if they don’t forward the message their WhatsApp account will be deleted within the next 48 hours. And if you ignore this message your activation will be canceled and in case or re-activation you need to send this fake message to at least 20 contacts from your friend list to register yourself from the Free WhatsApp. Furthermore, this message read as the after sending this fake message to 20 people you will receive green ticks and you will have to wait until ticks become green. Tomorrow at 6 pm they are ending WhatsApp and you have to pay to open it, this is by law. This message is to inform all of our users, our servers have recently been very congested, so we are asking you to help us solve this problem. 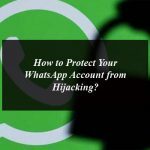 We require our active users to forward this message to each of the people in your contact list to confirm our active users using WhatsApp, if you do not send this message to all your contacts WhatsApp will then start to charge you. Your account will remain inactive with the consequence of losing all your contacts. Message from Jim Balsamic (CEO of Whatsapp ) we have had an over usage of user names on whatsapp Messenger. We are requesting all users to forward this message to their entire contact list. If you do not forward this message, we will take it as your account is invalid and it will be deleted within the next 48 hours. Please DO NOT ignore this message or whatsapp will no longer recognise your activation. If you wish to re-activate your account after This is the last message from Whatsapp™. Kindly send this to 20 people to register urself in Free-Whatsapp mode. If you send this, you will recieve green ticks. The blue ticks was just an update. Wait for the GREEN tick. Facebook and whatsapp combined is the new version©.Send this ASAP. It works mine is green. I have also received this same message from 3 to 4 friends on WhatsApp but I did not pay heed on it because it’s totally a fake message. If you are a WhatsApp user and worried after reading this fake message don’t need to pay attention because it’s not gonna to affect your WhatsApp account. If WhatsApp team has anything related to this they officially announce it in Press Release. How to Control Unwanted Notifications on WhatsApp?